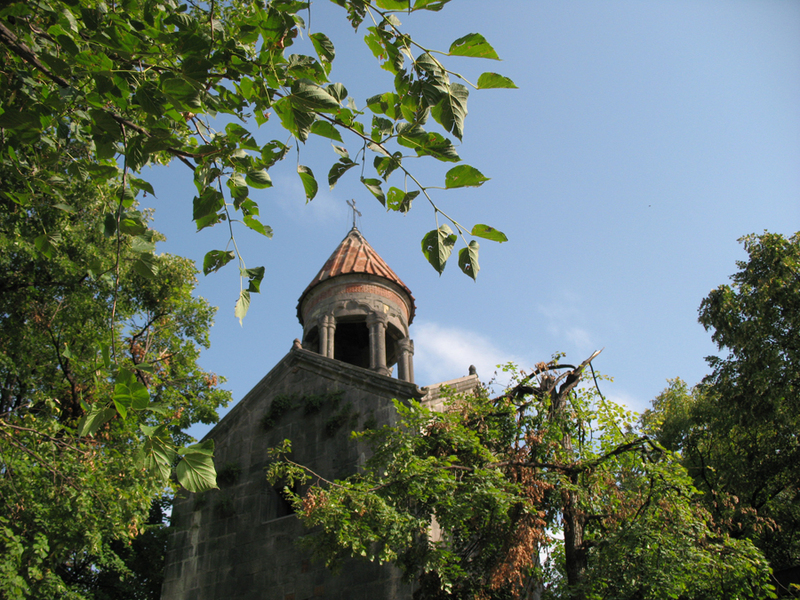 The architectural complexes of Sanahin and Haghpat are among the outstanding works of medieval Armenian architecture. In their artistic merits they transcend the limits of national culture. 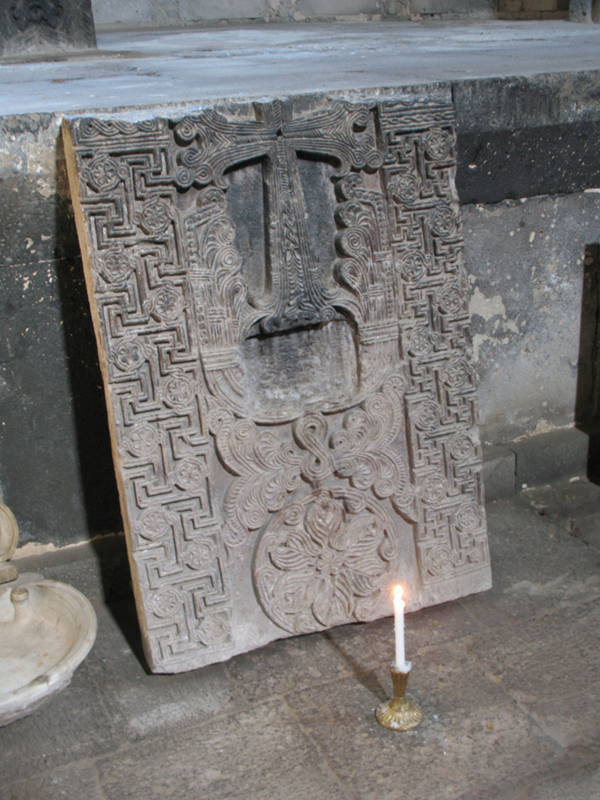 The monasteries are situated in the north of Armenia, in the Tumanian district. Sanahin is now within the limits of Alaverdi city, and Haghpat is to the north-east of it, in the village of the same name. Standing on a high plateau, amidst low structures, they rise sharp against the background of steep forest-grown slopes of Bazum ridge. The ensembles are complemented by small churches built near them. Built in the monasteries over three centuries were more than 20 various churches and chapels, four annexes, sepulchers, bell-towers, the building of the Academy, book depositories, refectories, galleries, bridges and other monumental structures, to say nothing of numerous dwelling and service premises. The main monastery buildings are grouped around their chief temples, forming integral architectural organisms. They are asymmetrical relative to their main axes, which lends them picturesqueness. Compactness and harmonious balancing of the complexes are achieved owing to the fact that each subsequent architect proceeded from the state of the ensemble that already existed and coordinated the shape and layout of his own buildings with it. The ensembles of Sanahin and Haghpat stand out not only for the original architecture of religious and especially civil buildings. They are also most instructive as samples of town building art which show high skill of Armenian architects. Marked by the unity and compactness of their asymmetrical layout, they had a tremendous influence on the development of medieval Armenian architecture.